Joined ComplianceAsia in 2015. Running an ongoing support team-China Team direct responsible for advising Financial Institutions (HK SFC Type 1,2,4,6&9) including hedge fund, asset management firm, and brokerage firm regarding their compliance, regulatory and risk management areas in Asia. Carrying out continuous reviews covering regulatory frameworks, products traded, trading operations, Fund administration, investment management processes as well as licensing and code of conduct issues. 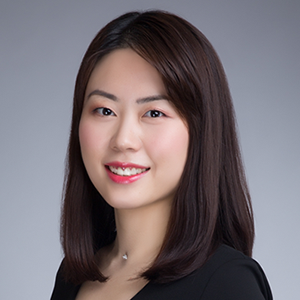 Prior to the Firm, Alice worked for HLB International Hong Kong and Deloitte China Providing audit & assurance service to financial institution including securities & assets management co.; Hong Kong listed co.; IPO. Performing statutory audit by complying with applicable accounting standard and regulations, including IFRS, HKAS, PRC GAAP, and HK Listing Rules. Alice earned a Master degree in Accounting and Finance from Hong Kong Baptist University School of Business.